Home inspection, while not physically difficult, requires the ability to look for defects that an average person might miss. The profession is more complex than it appears, requiring you to understand the interdependent systems in a home, evaluate different components and recognize potential problems. If you have an interest in the real estate field, have an eye for details, communicate well and enjoy the challenge of running a business, then home inspection may be right for you. The most successful home inspectors have good computer skills and work more efficiently than their competitors. PHII's interactive training will help prepare you to compete in today's home inspection market. According to the Bureau of Labor Statistics, home inspectors earn an average annual salary of of $58,000, with the top ten percent earning an average of $89,000. Home inspection is a growing occupation in the U.S and Canada. Over 5 million home inspections are conducted in the United States each year and the percentage of homes inspected is steadily increasing. The vast majority of homes sold this year will have a pre-closing home inspection performed. There is a strong, long-term demand for qualified individuals to start careers as home inspectors. Depending on the area of the country, an average home inspection for a 2,000 square-foot home will cost between $375 to $550. Angie's List members reported paying an average of $473 for a home inspection. The region of the country, value of real estate, and volume of property sales all affect the cost of a home inspection. Home inspectors use visual methods to evaluate the physical condition of real-estate property, usually prior to the sale of that property. A home inspector spends 2-3 hours at a property examining the grounds, structure, exterior, roof, plumbing, electric, insulation, ventilation, interior, attic, bathrooms, kitchen, basement, crawlspaces, heating, air conditioning, and garage or carport. National standards of practice determine which components are inspected and how they are inspected. The inspector later provides a complete, written report to the client. What are the requirements for my state? States have a wide range of regulations and some have legislation pending. For this reason it is important to start now and get "grandfathered in" before new laws are passed. To find your state's pre-license education requirements and PHII's approval status, go to the PHII home inspection State Regulations page. Why should I train with PHII? PHII has trained over 20 thousand home inspectors all across North America as one of the largest, most respected training schools. We have a curriculum and one comprehensive home inspector certification course, which is easier to learn from than a series of separate courses. When you train with us, you interact directly with experienced staff and instructors at our school location who are here to help you, both before and after you enroll. The same staff that provides information about our products will be there to help you with ongoing support. No wasted time, just direct help from our knowledgeable staff! There are no sales gimmicks or membership fees with PHII. We offer everyone the best tuition value everyday without fail, and we don't solicit your personal information for marketing. We respect your privacy. Is PHII's course good in Canada? Our course also meets Canadian home inspection guidelines. Home inspections in Canada follow the same national standards of practice as in the United States. Alberta and British Columbia are the only provinces that currently license home inspectors in Canada, and PHII is accredited by the National Home Inspector Certification Council in Canada to provide education towards its NHI designation. Canadian inspectors who take PHII's training also receive free membership in the North American Association of Home Inspectors. See our Canadian regulations page for more details. Should I join a national home inspector association? Membership in a national trade association shows clients that you are serious about the profession. Some states including Alabama and Pennsylvania require membership in a national home inspector association to comply with state statutes. For example, Pennsylvania law requires home inspectors to be a full member of a national non-profit home inspector association to be compliant. In states without a requirement, it is a business decision for the home inspector. Is live classroom training required? Some states require some or all pre-license education to be face-to-face and some states require field training in addition to classroom or online hours. Field training labs can be taken as scheduled at our training facility, and can be taken at anytime during or after your training. Visit out Field Training page for more information, or call us at 800-983-6322 to check on the lab schedule. Go to our State Regulations page to check the requirements for your state. The basic home inspection course is 90 hours and the optional advanced course is 32 hours, but both can be completed more quickly based on your past level of experience. However, you can take as much time as needed, and there are no limits on re-taking exams. The total course time is broken up into 70 hours for course instruction, 25 hours for field assignments/report writing (field assignments are done on any property you select), 12 hours for course assignments, and 15 hours for testing. PHII's course allows you to take your time or push yourself through quickly. There are no constraints! Professional Home Inspection Institute's course comes complete with all required instructional materials including 100% online access, workbook, back-up CDs, DVDs, and other materials you need to complete the course. You can view the current prices by going to our Enrollment page or by calling 1-800-983-6322. Errors and Omissions (E&O) insurance is a professional liability policy covering the policyholder for negligent acts and omissions that occur during an inspection. A good Errors and Omissions liability policy can help limit your out-of-pocket expenses in the event you are named in a lawsuit. Our coursework is approved for home inspector errors and omissions insurance by all major insurance organizations. E&O insurance is a requirement in some states and requires training by an approved provider in order to qualify for coverage. We are affiliated with home inspector associations on the state and national level. PHII graduates receive a one-year free membership in the North American Association of Home Inspectors (NAAHI), reduced fees to apply for other associations, and reduced fees for Membership Renewal Credits (MRCs). 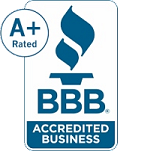 We are also an accredited member of the Better Business Bureau with an A+ rating. For our complete credentials and affiliations, go to our Credentials page. Why should I choose PHII? PHII gives you interactive training, experienced support, a lot of value and the most affordable tuition in the industry. Plus we offer a satisfaction guarantee. Over the years we have successfully trained thousands of home inspectors, and have been there to support them after the training. We have up-to-date home inspection course material, and we provide a turn-key system for setting up your own home inspection business. Go to our Compare page to see how we stack up against competitors. How do you ship course materials and tool kits and what is the return policy? Course materials and tool kits are shipped via UPS Ground, Fedex Ground and USPS, and typically take 5-7 business days for delivery. We ship to the U.S. and Canada. For returns, everything must be returned in as-new condition within 30 days of receipt. Returns with damaged or used items will be prorated. Refunds are credited within 7 business days of receipt of the return. Shipping and handling is not refundable. You must contact us first to obtain a return number. What is Your Equipment Warranty for Ozone/Hydroxyl Generators? We offer a 1-year unlimited warranty and lifetime customer support. During the first year we will send replacement parts to you at no charge to repair or replace anything that goes wrong. We will also perform the labor at no charge if the customer ships the unit to us at his/her expense. After the first year the customer can extend the warranty for an annual fee, or purchase replacement parts when needed. What is Your Equipment Return Policy for Ozone/Hydroxyl Generators? A return form must be requested within 30 days of receiving your order. To request a return form, call our toll free number or send in a web message. The item is returned in like-new condition. All box containers, paperwork, and cords are returned with the item. You are only allowed to return a total of one item. If you are unsure about a product, order one and test if for your application, then you can order more at a later date. Refunds are processed 10 days after receipt of the item (at our office). This gives us time to receive and test the returned item. Your bank may also have a few days of processing delay to return the funds back to your card. What is Your Lead Time for Ozone/Hydroxyl Generator Orders? First, if you have a deadline, please call us or message us to get a delivery estimate in advance. All machines are hand-built in our production facilities and the lead time averages 3-10 days depending on the number of orders ahead of yours, and 2-4 business days for Fedex ground shipping depending on the shipping zone. If your order must be shipped outside of the contiguous United States or Internationally or needs a difference delivery service, you must contact us in advance for a shipping quote. Fedex does not deliver to PO Boxes. We will notify you when your item is complete and provide a tracking number when it ships. If any parts are backordered, we will notify you and give you the option to cancel. These lead times are typical for specialty electronics that are hand-built when ordered. Once again, if you have a deadline call us or message us to get a delivery estimate! We build machines like no others, at great prices and it is worth the wait. The following applies solely to information collected by this web site.